At MBS Much Better Skin, we supply our units fitted with Philips TL01 and PL01 Medical Narrowband tubes, the world’s leading tube for treating conditions such as psoriasis, vitiligo and eczema. These bulbs have been proven to be more effective than others, as concluded in over 400 independent research studies. They are recommended by both doctors and dermatologists, and you will find these same medical bulbs in hospitals and clinics all over the world. 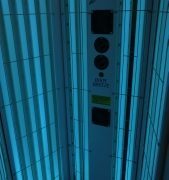 When it comes to irradiance (the movement of radiant energy – the intensity of the light at the skins surface), the TL01 100w narrowband tubes offer 19.5 UVB irradiance, which then reduces to 17.7 irradiance at the skin’s surface, giving a percentage of 78% UVB (a majority at 311nm wavelength) output to total UV output. They measure 6 feet long giving top to toe coverage and have a 2-pin fitting, suitable for use with both our full-length cabinets and canopies. 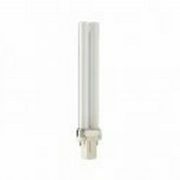 The PL01 36w tubes use the same technology as the TL01 100w tubes, but they are smaller. They have a diameter of 39mm, a length of 416.6mm, and 2G11 4-pin fitting. The irradiance is just 5.6 UV at the skin’s surface (a majority at 311nm wavelength). Therefore, these tubes are appropriate for use with our Dermatec mini units, which use two PL01 tubes, or other similar products. These will allow you to treat small to medium areas, usually when the symptoms of your skin condition are more localised. Similarly, the PL01 9w tubes are for use when treating smaller areas of the skin. Using the same technology, they offer an irradiance of 1.3 UV at the skin’s surface (a majority at 311nm wavelength). They measure at 28mm in diameter, 167mm in length, and have a G23 2-pin fitting. These tubes are used in the handheld units that we offer, or similar units. What’s the difference between the TL01 tubes and the PL01 tubes? There are both similarities and differences between the TL01 tubes and the PL01 tubes. They are both designed by Philips to produce light within the same spectrum, which usually falls at 311nm of UVB light. This is the therapeutic wavelength required for treating psoriasis, eczema and vitiligo. The main difference is their size, shape and intensity of light, with their coded names referring to this difference. TL01 tubes are longer (6ft) and straight and are 100 watts with the letter part of the code (TL) referring to the fact the bulb is linear. 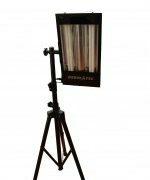 The PL01 tubes are simply smaller versions of these but are a different shape (single ended) suitable for smaller units requiring smaller sized bulbs; the mini unit using 36-watt PL01 tubes, and the handheld unit using the 9-watt PL01 tubes. The smaller the tube, the less intense the light. Therefore, these smaller bulbs are suitable for treating smaller areas where the symptoms of the condition are more localised, whether on the arms, legs, hands, or scalp. 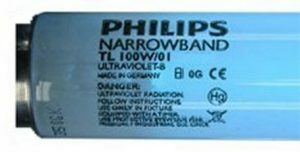 If you would like more information about Philips Narrowband tubes or any other aspects of our products, please don’t hesitate to get in touch by completing our contact form online, or by emailing us at sales@treatpsoriasistl01uvblamps.co.uk. On this page, you can also find out how to contact us by telephone, in order to speak to a member of our team directly. We will be happy to answer any questions you may have for us.